Since Halloween is here, I wanted to highlight a creepy painting to delight (and horrify!) my readers. If you think that Peter Paul Rubens only painted rosy-faced saints and voluptuous women, think again. 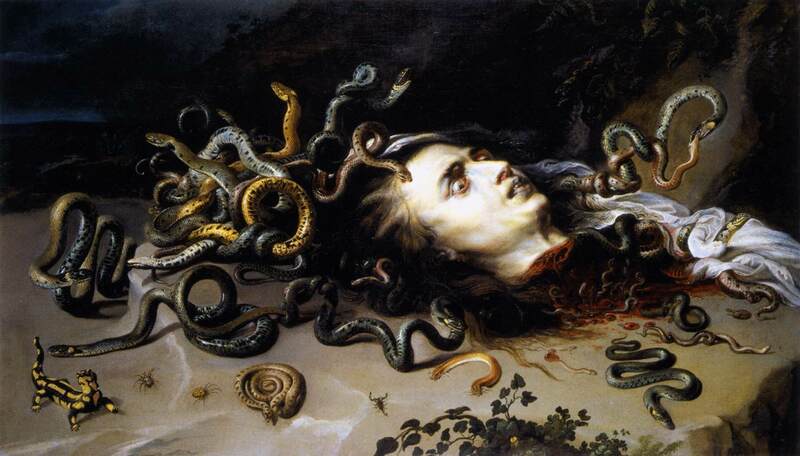 A few weeks ago I came across Ruben's painting Head of Medusa (c. 1617, shown above). This is the creepiest painting by Rubens that I have ever seen. Medusa's dead eyes stare into the distance, while her snakelike hair continues to writhe and squirm. Eek! Do you know of any other "dark" works by Rubens? These are the only two of which I am aware, but there may be more out there.